Best Man Speeches and Toasts Here! AND... A Step-By-Step Guide Walking You Through Everything You Need To Know To Create Your Own Inspirational Best Man Speech! What's More... ALL Of This Information, Including 20 Prewritten Speeches AND Over 100 Sample Toasts, Can Be On Your Computer Within Minutes!! What help do you need with your Best Man speech? Are you looking for that special speech, that everyone will remember for the right reasons? Do you need 20 top-notch professionally written sample speeches and over 100 awesome toasts to kick-start your speech writing? Looking for the absolute best jokes, quotes and one-liners? Are you after the professionals techniques for delivering your speech? Perhaps you need the pro's tips and methods to help write your incredible speech? Perhaps you just want to look as good as you can on the big day and avoid any chance of embarrassment! Thousands of people worldwide, just like you, have used my unique Best Man Speech package to fast-track their speech writing and take the pressure off the wedding reception, whilst having fun in the process. Will you be next? April's Top 5 Success Stories! "This is an invaluable resource that I would recommend to anyone that is involved in a wedding. It saved me hours of time and made it clear in my head what i was actually required to do." Recently I was invited to be the best man for my friend's wedding. I had originally introduced the two of them a couple of years earlier and was honored to be the best man. Although I often speak in from of small groups, I found the whole process for months ahead quite stressful. One week before the wedding I eventually downloaded from weddingspeech4u. It was certainly a breath of fresh air. After the months of trying to work out what I was meant to be saying and doing, I was fully informed in 15 minutes. On top of this it gave me lots of great speeches that were easy to adapt to suit my situation. 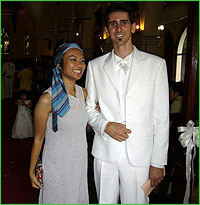 The wedding was a little bit different from the norm, in that it was in Thailand, as he had married a thai girl. This did mean that the ceremony was quite different and so was the order of service. Despite this I believe the information and ideas that weddingspeech4u provided were invaluable. I would have no hesitation on recommending it to others. It gave me many great intros to choose from, outlined the absolute necessities and proved paragraphs that could just have names changed to suit my friends wedding. It also came with many highly usable quotes. The biggest problem was doing only one! By downloading the weddingspeech4u eBook, I was given ways to overcome nerves, information on what should be said, ways of saying things and orders of the speech. On top of this there were great checklists for the best man, and the bucks night. The suggested ideas for bachelor parties are something I will use again for other events, not just bachelor parties. This is an invaluable resource that I would recommend to anyone that is involved in a wedding. It saved hours of time and made it clear in my head what i was actually required to do. Also the little tips of what the best man should have on him on the day like headache tablets is a vital resource. I have attached a picture of myself with the maid of honor at the wedding. "I basically learned everything I needed to know from your site." Dan, FYI..........Just wanted to give you a quick heads up as to how my speech went.... I ordered your program the night before the wedding. People were left with what did he say etc.. etc... it was down right embarrassing and still to this day I'm embarrassed about it. Now don't ask me why I waited until the evening after the wedding rehearsal to start preparing(especially with my history) but that's basically what I did... I ordered your program the night before the wedding, I read everything and then slept on it... got up in the morning and prepared it... took me 2 hrs. I basically learned everything I needed to know from your site, I used cue cards .. 4 of them to be exact.. If I would have needed 6 or 8 I would have.... I learned several things from your site that would take me too long to list and besides you know what's on there... so why re-write it.... But basically I knew from your site how long the speech should be, so I had a time line to work with..... After reading everything...... I learned to basically have a opener line, a body and a toast. I will provide you with the actual speech below to show you what I did, I was told it went excellent, I got three laughs but I have to say after the first laugh I knew I was on easy street for the most part.... The first laugh was so key for me. On the first cue card which I numbered in the upper right hand corner (in red pen by the way) I knew by casing the room which you suggested and then by talking to the DJ real quick.. I knew where I would be giving the speech and this time it was at the head table.. which was great and way better then being asked down to the dance floor... which I would suggest you put on the site that people should get to the DJ prior and ask or request that they can give the speech at the table verses being in the center of the floor.. this alone is huge in my opinion. Now I know it could have been longer and I had several options on what to say but....... After reading your program I basically knew what I could get away with.... I read your tips and example speeches.......... My Speech covered most of the bases and rules, Most attending knew I am not a professional speaker and many would not want to have been in my shoes, just knowing this is a great tension reliever, So basically I looked at all the possibilities and did a mini of what a great long speech would be like and I got away with it, I was told by many that night how good it was. Now the best part is this........"You are only as good as your last speech" correct? lol well my last speech was good if not great and the two bad ones are truly in my past which is such a beautiful thing......... and in a sick kind of way I am looking forward to the pressure of having to give another speech somewhere some time in the future. So Dan.... that's it .......that's my story, your Program helped me 100% and I could not have done it with out your program. Only Thing I would suggest you add to the site is that people when they get to the wedding hall and people are mingling and drinking before everyone sits down... is to dart off to the bathroom a few times and go in a stall and read their cards to them selves, I first read them out loud in my car when I was alone on my way to the church and then 3 times at the Hall in the bathroom stall just to double check and get more comfortable with it. Anyhoo... Thank You much for coming out with this program.. I hope you make millions with it. PS I googled the heck out of wedding speeches and your's was the best looking one and the price was WELL worth the end result, best $20 bucks I have ever spent. I am a happy man to have that behind me but to have it behind me after doing it well is like a drug. "Wow! Great product, it's worth every penny". I was the best man for my friends wedding and I totally forgot about the toast till the day of the wedding when the groom reminded me. I literally had about 2 hours before the wedding to prepare my speech, I was sweating bullets, so I did a quick Goggle search and yours was the 1st site I opened. I quickly paid the $19.95 and instantly went to the pre-written speeches, I copied and pasted parts from the 1st five speeches. Then I spent about 15 minutes editing this information to fit my occasion and wah-la. I had a perfect speech for the wedding. I spent a total of 45 minutes preparing this speech. To be honest I was terrified when I realized I had to make the speech and I felt so much better knowing that I had one in writing that I thought to be very funny and sentimental at the same time. I became very nervous again when it came time for the toast, when hundreds of people are looking at you and your holding the mic. I forced out the 1st humorous line of the toast and much to my surprise everyone started to laugh and then it was a piece a cake from there. I felt like a professional comedian because I had everybody in stitches for several minutes. Then for the rest of the evening I was a celebrity. Everybody congratulated me on such a great speech. The DJ said he does a lot of weddings and that was the best toast he has ever heard. It was a truly amazing experience and I sincerely thank you for the material. Not in a million years would I have dreamed I could have delivered such a speech." "Everyone came up to me during the reception to tell me what a wonderful speech that was." The speech went off without a hitch, I had to read it being that it was three pages long. I got a few laughs and a few ahhh's for the more sentimental stuff. Everyone came up to me during the reception to tell me what a wonderful speech that was. Your program really helped me structure the speech so I am offering the final draft to your for review to add to your collection. "Whether you have plenty of time to prepare a speech, or are in a bind like I was, I would highly recommend WeddingSpeech4u.com to assist you in writing a wedding speech that will never be forgotten." WeddingSpeech4U is an absolute savior! I was the best man in my friend's wedding and had planned to write a great speech. Well, like most people, I got busy and kept procrastinating. The night before my flight left for the wedding, I still hadn't written a thing. I hopelessly searched the internet for assistance. 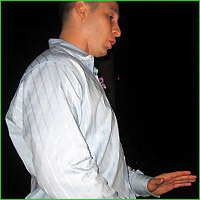 I came across WeddingSpeech4u.com and was hesitant at first. I did not want to spend any money but I was desperate and couldn't find anything worthwhile on any other sites. So I took a chance and it was the best $20 I ever spent. The materials I received were extremely helpful and filled with many ideas and examples. I was able to put together a speech on the plane and after the wedding I cannot tell you how many people came up to me and told me that my speech was the best part of the wedding. The groom cried with emotion during my speech and he didn't even cry during the ceremony! 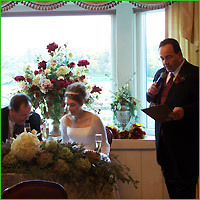 Whether you have plenty of time to prepare a speech, or are in a bind like I was, I would highly recommend WeddingSpeech4u.com to assist you in writing a wedding speech that will never be forgotten. Welcome to Best Man Wedding Speeches - Be Fearless, Funny and Flawless! "I was actually getting quite nervous about the wedding because of the speech. It didn't seem so bad a few months out but once there was less than a week left I was starting to stress out. Thanks to your book I managed to not only write a good speech, my speech was great! I had the whole reception in fits of laughter and best of all I was able to deliver what I thought was a fitting speech for my best friend." "Hi, I knocked 'im dead on Saturday night, Great night had by all." "I thought that I would let you know that your advice has worked brilliantly! I ended up writing the speech within half an hour, borrowing from your sample speeches... ...What a difference from my previous public speaking disasters. Your book is great and certainly worth every penny." "...the Bachelor Party book was great, had plenty of cocktails and played plenty of those drinking games. Brought back lots of memories (and lost a few as well!)" "I sure am glad I came across your web site. It's great to have a one-stop shop for sorting out my speech. Felt good when everyone was saying how good I came across." "I purchased your best man speeches book and I'm just writing to say that my speech on the weekend was a huge success. I don't know what I would have done without your book. Everybody laughed and lots of people were very impressed and told me so after my speech. Nobody even suspected that I got a book to help me. I really don't think the average guy can possibly write such a quality best man's speech without the extra professional help, the jokes were really good, I used a few from your book and tailored them to suit my speech about the groom." "…thanks for the extra help I’m really happy with it now…"
"How did you come up with all this amazing material, it's fantastic!" "Thanks for the help with my download issues... ...easily resolves in the end..."
"Thanks Dan, you have been a life saver! My best friend got married on Saturday and until I found your book, I was really struggling to string two sentences together, let alone make them funny! I was so proud of myself, everyone thought I was a great speaker, and I got lots of laughs." "Your book is pure class! It's not often I buy something that exceeds my expectations but your book certainly did. My speech went down so well, people were commenting telling me it was the funniest speech they'd ever heard! This has to go down as one of the best investments I've ever made"
"I used a lot of material from the fifth speech in your book because it fitted so well with my situation (being the groom's younger brother and best man). Except I made it even better by adding in my own funny recollections of growing up with the groom. My speech was a killer!" "I found your book to be both witty and stylishly written. It's a wonderful synopsis of all aspects of the best man speech writing process. You should be proud of yourself"
Being asked to be the Best Man at a wedding is a huge honor. If you want to give the Bride and Groom the respect that this great honor deserves, then this could be the most important letter you will ever read. You do not need to worry about whether or not your speech stacks up against other speeches given by the Groom, Father of the Bride, or other speakers at the wedding. Imagine the immense personal satisfaction you'll gain from delivering an inspirational speech that makes your best friend proud and leaves the audience in fits of laughter. Now, try to imagine the alternative. Anything but the best for your friend makes you feel flat, right? You owe it to your Groom to give him the best speech that you possibly can, and this is your opportunity to get your hands on 20 of the most outstanding and entertaining Best Man speeches that you will ever see. And you'll also gain comprehensive, step-by-step, information about every aspect of the speech writing process from preparation, through to delivery. My Best Man Speeches are GUARANTEED to be the best! I've even been working with the major U.K. publishing company, Chrysalis, and they will be releasing a book with several of my sample speeches in it (the very same ones that are in my book! ), in the next couple of months. Well it's all because of my 20 one-of-a-kind, knockout, sample Best Man speeches that have been crafted to perfection - and are guaranteed to work for anyone! 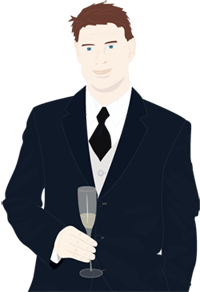 Not to forget the Best Man Wedding Speech Guide that explains in a super easy to follow format - how to deliver a sensational Best Man wedding speech. This material is for those who want give the best possible Best Man speech. If you want to give a vibrant and memorable speech, then this sensational guide will reveal to you exactly what you need to do to ensure your speech is a huge success! Instant access to 20 professionally written, top quality speeches, so that you can pick and choose the best parts to make your own unbelievable speech. Over 100 outstandingly entertaining toasts that you can copy and paste into your wedding speech! Know precisely what to say, no matter what the situation. Whether you need humor, substance or emotion, it's all here! Impress the bride and groom (and everyone else) with a heartfelt, meaningful speech that is the highlight of the reception and that they will fondly remember forever. Prevent yourself looking bad. Our time-tested words will always make you look good. Discover how to overcome any public speaking fears that you may have, so that you can deliver the speech of a lifetime and one that will be remembered for all the right reasons! Know the etiquette involved with combining the Master of Ceremonies role with the Best man duties, so that you come across as an experienced speaker. Be one hundred percent prepared for your speech, so that nothing is left to chance on the big day! Don't leave anything to chance - make sure that you do everything that you can to guarantee your speech is a huge success!! You can edit, copy, paste, add, delete and completely mold these best man speeches into your own words! All the speech content that you need is right here, at your fingertips, so you will be able to make that once in a lifetime speech - that everyone will LOVE. This information is very easy to follow, absolutely anyone can use my material, to put together a terrific speech that will have your audience feeling the magic of the occasion. "Best Man Wedding Speeches" comes professionally laid out and graphically designed so that is easy to read and covers everything that you need to know about giving your Best Man speech! A 100% satisfaction guarantee! If the information doesn't stack up to your needs then just let me know for a full refund! Everything that you need to be able to step up to the plate with total confidence and avoid any chance of embarrassment! Want to Boost your Confidence to Sky-high Levels, Eliminate Nervousness AND Banish Anxiety From Your Life Forever? This downloadable audio track has been put together by professional hypno-therapist Kent Sayres, to increase your confidence to enable super-delivery of your Best Man speech. To use it, all you have to do is slip on your headphones, pop on the audio program, and listen and relax. Kent's powerful hypnosis technology takes care of everything else! This is a must-have product for you if you want to skyrocket your confidence. This course sells on Kent's site for $19.99, so is a fantastic bargain as it is included FREE with every copy of Best Man Wedding Speeches! Have the Funniest and Most Meaningful Speech of the Lot! Need Some Great Ideas For Throwing A Top-Class Bachelor Party? Give Your Best Friend The Stag Party He Deserves!! If you want tons of ideas for the Bachelor Party then look no further. This special bonus book will ensure that the Bachelor Party that you throw will be like no other! Discover plenty of themes, cocktails, pranks and practical jokes that you can use to fire up the party and keep it swinging all night long! Impress your friends and fellow party goers with a truly unique bachelor party! Choose From Over 100 Example Toasts, Both Contemporary And Traditional! This bonus book has lots of sample toasts, both contemporary and traditional. There is a toast in here for any type of wedding, from ultra-formal to laid back and casual. I PERSONALLY GUARANTEE that these will be simply the best Best Man speeches that you can buy on the internet. If they don't measure up in any way, shape or form then let me know for a prompt and full refund. I insist that you order Best Man Wedding Speeches - Be Fearless, Funny And Flawless! entirely at my risk. That's why this collection comes with a Risk-Free 60 day 100% Money-Back Guarantee. There's absolutely NO RISK on your part. I am now a verified merchant of the Fair Trade Authority so you know you can order from me with full confidence! The Fair Trade Authority certifies that, as a member, my identity has been verified, that I agree to the FTA Merchants Code of Ethics and that you can buy with confidence, from me, as you are insured for up to $300. Finally, because you're trusting me with your time and confidence, I want you to keep all of the bonus material, including the Total Unstoppable Confidence audio course - free of charge - even if you return the collection. That's a guaranteed gain no matter what you decide! One Final Bonus for Internet Customers Only! I’m including one extra bonus for my Internet customers. It’s a private email consultation with me. If you have any pressing issues about your speech or bachelor party that need addressing then send me an email and I will resolve it with you! "Best Man Wedding Speeches - Be Fearless, Funny And Flawless! ", with 20 sample speeches and plenty of tips and techniques to save you time and aggravation! You also get my inside knowledge about the roles and responsibilities of the Best Man so that you wont be caught short when it comes to the etiquette involved! The bonus audio program, Kent Sayres "Total Unstoppable Confidence" to boost your confidence sky-high! The bonus book "Jokes, Quotes and One-Liners", so that you have these classics at your fingertips. The bonus book "Bachelor Party Ideas", letting you discover how to throw the killer bachelor party for your best friend! The bonus book "Sample Toasts", giving you over 100 example toasts, both contemporary and traditional. AND finally, a FREE email consultation with me to iron out any issues that you may have with your speech! Order now directly online with our 3rd Party Payment Processor, Clickbank. Remember that when you use our order form on our Secure Server, you get instant access to Best man Wedding Speeches, all of the bonus books and the audio program. You can be using these ideas, tips and techniques within 3 minutes! You get the Best Man Wedding Speeches package instantly and Risk-free for an Incredibly Low $19.95 (normally $49.95). Note: This offer is only valid if you order by Midnight Saturday, April 20th. Just a quick note to thank you for the Father of The Bride speech guidelines. I found it invaluable. It was worth every penny! Best wedding speech I ever heard"
You set the tone of the entire proceedings"
"I never laughed so much at a wedding for a long time"
I pride myself on giving great customer service so I will answer any questions or query's that you may have about any aspect of the Best Man Wedding Speeches package. Contact me! I look forward to getting an email from you, telling me about your fantastic speech and how Best Man Wedding Speeches changed your speech for the better! Even though I get an enormous amount of email, please write to me. I’d love to hear your success story! P.S. Remember, I guarantee that if you use this information that your Best Man speech will be funny, fearless and flawless; otherwise, you can return it within 60 days from now for a prompt 100% refund... PLUS... you still get to keep all of the bonus material, including the Total Unstoppable Confidence audio program. P.P.S.You have nothing to lose ordering Best Man Wedding Speeches, no matter what country you are in. ELIMINATE DOUBT IN A POSITIVE WAY. Just contact me if you have any questions! P.P.P.S. The key thing to remember is that every Best Man wants to look back on the big day with absolutely NO REGRETS!!! So buy now and save! You will reap great rewards with this information! And you can't lose with my 100% No-Risk Money-Back Guarantee.